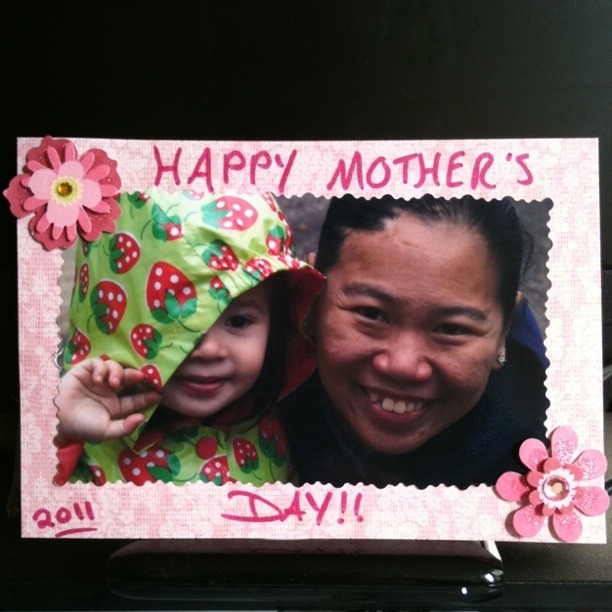 I got this very special surprise in the morning of Mother’s Day. A card handmade by my amazing and wonderful husband! So cute and so lovely. It meant a lot to me. I am so thankful to God for always make me feel so special each day. I am very blessed by God through my husband, Dave and my little princess, Abigail.